Bill Biggs and Susan Headlee met by sheer coincidence. They immediately clicked when they were teenagers in the 1970s, but they went their separate ways only to be reunited 35 years later. Since then they have been married and are now living a happy life together as they fill their home with wonderful memories. 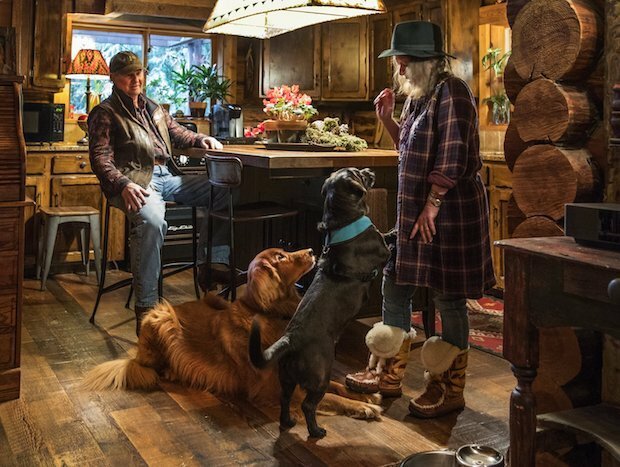 Susan moved into Bill’s home which was a rustic log home from the 1970s, which they then rebuilt the home inside and out. Each and every detail reflects their life together and their love for one another. 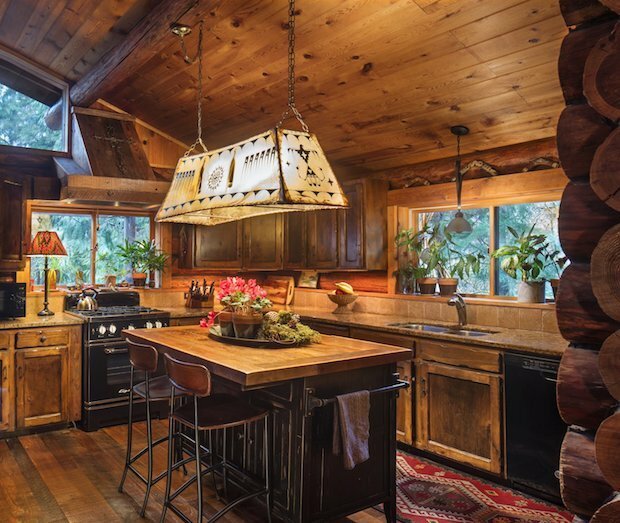 The main style of their home is inspired by Native American and earthly touches and this really enhances the atmosphere of the 70s log cabin. 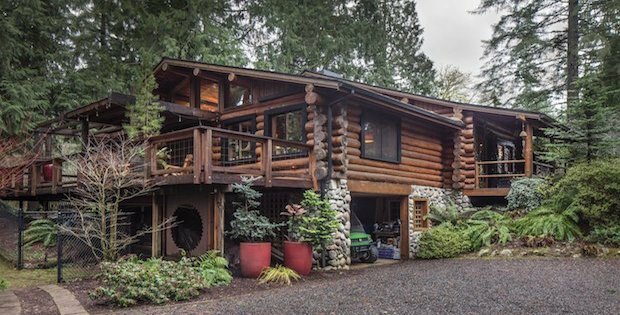 When it comes to creating your own home, keep in mind that it’s not really necessary to have the best of everything, but as long as you build your home thoughtfully, filling it with the things you love, then it will be the dream home you’ve always been looking for. “Most of what you see is a collaborative thing we’ve done over 11 years,” says Bill. “We’ve created this environment and like it. We’ve tried to find places to travel that are like where we live — we’re heading to Santa Fe soon. We just started buying things and shipping them home, and kept doing that. There’s a little hutch from Santa Fe. 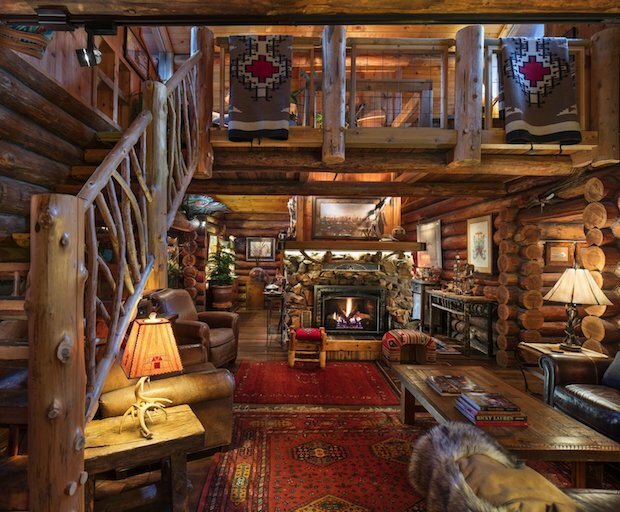 A corner lamp from Jackson Hole. Lamps from Mort’s Cabin in Eastlake. A chest in the master bedroom from a Lake Oswego furniture store. (“It was a great sale, as I recall,” Bill says. “No one else wanted it.”) The curio cabinet in the dining room was Susan’s grandmother’s; the hutch was 40 percent off at Molbak’s. 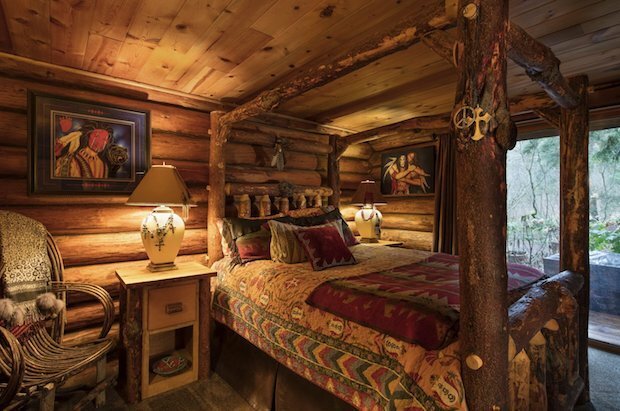 One of Susan’s friends “went out into the woods” and made the gorgeous, twiggy bedframe in one of the guest rooms.